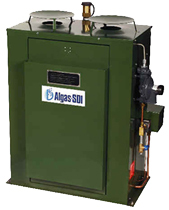 Power Equipment Company has supplied clean, natural gas burners and controls to Virginia’s industry for over 40 years. Our burners and burner components like gas pressure regulators help to produce everything from aluminum foil to gas heaters to keep you warm while shopping at local retailers. Our tubing products are used for tobacco processing, and man made fiber manufacturers benefit from our steam heating coils. We keep our warehouse stocked full of inventory, and are ready to ship to you. Please check out our Products page for a list of our products, grouped by manufacturer.